In 2009 he joined his fellowship in Pediatric hemato - Oncology & BMT at Sir Ganga Ram Hospital which he completed in 2011. Soon after this he started working as a consultant in Pediatric Hematology Oncology, Immunology & BMT at Dr B L Kapur Memorial hospital where he was instrumental in starting pediatric hemato-oncology services and played a key role in taking the BMT programme to the next step. In September 2012 he moved to The Great north Children’s hospital, Newcastle upon tyne, United Kingdom to work as a fellow in pediatric hemato-oncology, immunology & bone marrow transplant. There he worked with the leading names in the field of pediatric hemato-oncology, immunology & bone marrow transplant. After working there for a year he moved to St Mary’s hospital, Imperial College NHS trust, London, United Kingdom to work more in the field of pediatric hematology and BMT. He moved back to India in March 2014 and joined back BLK super specialty hospital as a senior consultant pediatric hemato-oncology & BMT. Apart from pediatric acute leukemias, lymphomas, pediatric solid malignancies, he is keenly interested in hematopoietic stem cell transplant especially alternative donor transplants (Voluntary unrelated donor & Haplo-identical donor). Dr. Kharya has a vast experience in transplanting children with various blood disorders benign or malignant, immunological diseases etc nationally and internationally. He has presented many papers in national and international conferences and has published many papers in national and international journals. 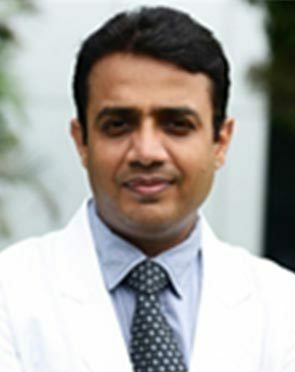 Dr. Kharya is credited for doing the first haploidentical bone marrow transplant for sickle cell disease in India & also for doing invitro TCR alpha beta CD 19 depleted haploidentical BMT in a 4 month old baby suffering from severe combined immunodeficiency who is the smallest child transplanted in the country so far. Along with his team members at different centers he has done more than 600 bone marrow transplants so far. His area of interest is alternative donor transplant such as haploidentical transplants and matched or mismatched unrelated donor transplants. Dr. Kharya has joined Artemis Hospitals with the vision of taking the bone marrow transplant program to the next level. Yadav SP, Kharya G. NK cell leukemia. Letter to editor. Indian Pediatrics. 2011 Jan; 48(1):79-80. Sharma SK, Choudhary D, Handoo A, Kharya G, Gupta N, Pavecha P, Chadha R. Gelatinous transformation of bone marrow following the use of dasatinib in a patient with philadelphia chromosome positive acute lymphoblastic leukemia. Leuk Res Reports 2013; 2: 78. Dr. Kharya performs 3 different procedures. Click on a procedure name to see more details and to view doctors for that specialty.